Watt is an LED filament bulb? Everybody loves a throwback! From the music to the clothing, we love looking back at the old and making it new again. But what about the technology? Do we really want to cancel our Netflix subscriptions and go back to rewinding the VHS before we take it back to Blockbuster? Probably not, but we do like finding new ways to make the styles of our past work with the technology of today; this is the same in fashion, interiors and lighting! You might be starting to wonder what on earth we’re going on about! Well, when we said throwback, we meant looking further back than the 90s and going way back to when Thomas Edison invented the light bulb. Of course, it was ground-breaking technology at the time, but we wouldn’t use one of his original bulbs in our favourite lamp today. Luckily, when the old-school filament trend came back in, lots of people, including ourselves, were ready with versions you could safely use in your home. But these still guzzle energy and, even with the huge advancements in technology, can get quite hot and don’t last as long as we’re used to, so we needed something better. Introducing: filament effect LED bulbs! But ‘watt’ is an LED filament? 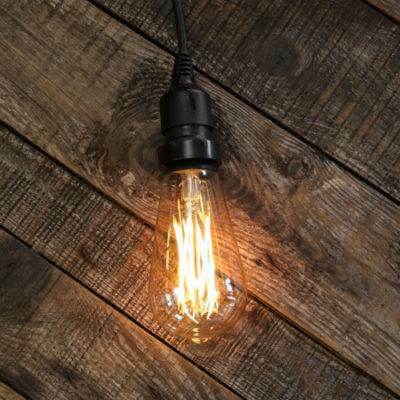 Well, it’s basically a filament or squirrel cage style bulb that will outlive, outperform and outshine your old vintage bulb. An LED filament bulb uses multiple warm coloured thin LED strips and tinted glass to create the well known golden filament effect. These bulbs can be expected to last between 15,000 and 40,000 hours and will stay cool to touch, compared with a standard incandescent or filament bulb that isn’t likely to last any longer than 2,000 hours. 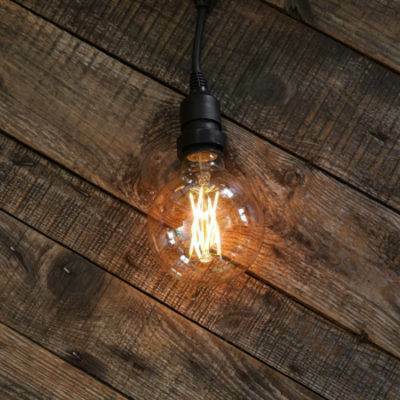 All our new vintage style festoon bulbs boast the very latest in filament design and efficient LED technology. 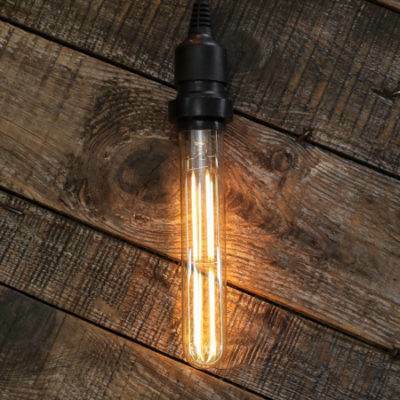 These bulbs are fully dimmable, with a gold tinted glass to create the perfect vintage look, and with the industrial twist we’ve grown to love again. You can use them in any E27 socket, so why not swap out the old tired bulbs in your home for these show stoppers. 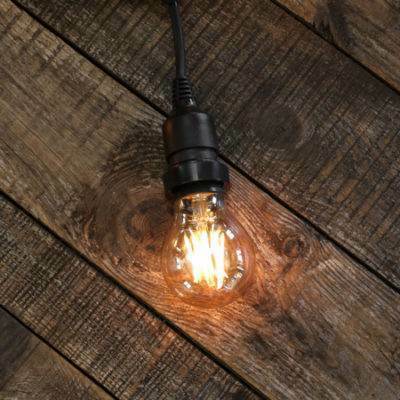 If you don’t feel like swapping every light in your house there are still lots of ways you can add this industrial look around your home. Try swapping out the bulbs in your bedside lamps? These bulbs don’t just look amazing there, but their warm light is perfect for late night reading. You can even use them outside! They will fit any of our E27 festoon belts so you can mix and match as many bulb shapes as you like to create your perfect outdoor lighting. We hope this answered any questions you had about LED filament bulbs, check out the video below to see all the different styles we currently offer.